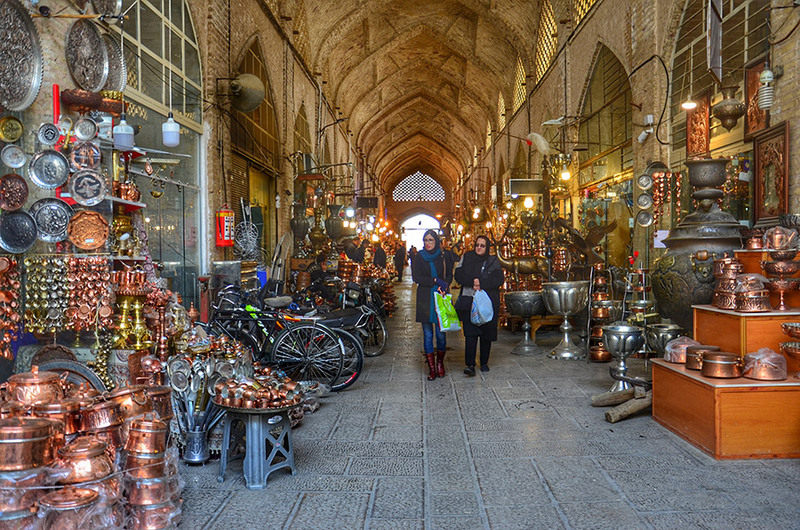 Walking in the narrow alleys of Isfahan’s bazaar is like walking in the past of Persia’s glorious history. The city, known as “half of the world” for its beauty, abounds with exquisite handicrafts, so that it is known as Iran’s capital of art and culture. Over generations, craftspeople have perpetuated local and original handicrafts, which find their roots in traditional habits and beliefs. They are the true soul of Iran, and recall the spiritual culture of its society. Listen to the stories behind every tile work, carpet design, stamp and metal engraving to imprint unique souvenirs in your mind. In the heart of Isfahan's Grand Bazaar, right behind where Naqsh-e Jahan square exhibits its enthralling beauty, our start point lies. In this human-scaled market, traditional daily life can be witnessed, almost unchanged for centuries. Built under the Safavid dynasty, on the 17th century, the graceful vaults and domed halls recall the story of the Silk Road merchants, finding some coolness in the quiet caravanserais... It's a blend of architecture, history, scents, tastes, and arts. Every corner of every antic shop has an unheard story to tell you. 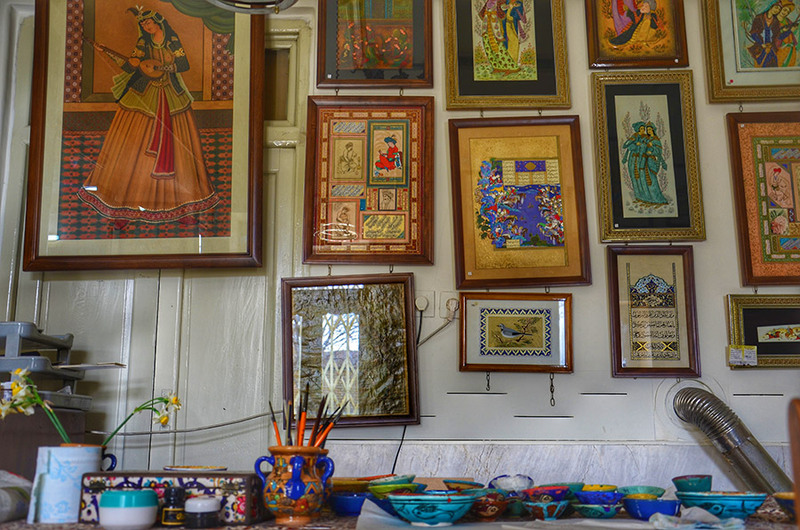 Start a journey to Persian arts and handicrafts: With more than 160 different disciplines specific to Isfahan, no wonder UNESCO has recognized the value and creativity of this city. Take for instance "Mina Kari", the traditional Persian art of metal ornamenting. Isfahan is recognized worldwide for its gorgeous blue enamel vases. Old craftsmen may share with you the secret behind their own specific patterns. Simply gaze at the mesmerizing blue colors, believed to be the bright blue color of heaven. It should lead your eyes to a turquoise workshop nearby, where those precious stones are used to decorate copper utensils. The magnificence of arts in "Half of the world"
Let's move on to other ancestral handicrafts, from "Ghalam Zani" (metal engraving) to "Ghalam Kari" (hand printed fabrics using handmade wooden stamps) are performed meticulously by the last guardians of this craft. While opening their doors to the enthusiasts, it's a whole piece of Iran's history that they share. Walking between the busy lanes of the bazaar, guided by the scent of spices and the sounds of merchants' voices, the visitor suddenly stumbles upon Imam Zadeh Ahmad. This holy shrine, dating back to the Qajar's era, displays magnificent arts of mirror mosaics which makes it so unique. Dig deeper into the legends and myths of Persia, by observing the accurate gesture of Miniature painters perpetuating the oldest Iranian painting art. On the walls, those colorful characters and sceneries transport you to the tales of the famous mythical Shahnameh and other epic Persian books. Of course, a comprehensive view of the Iranian culture cannot be completed without visiting a carpet workshop. 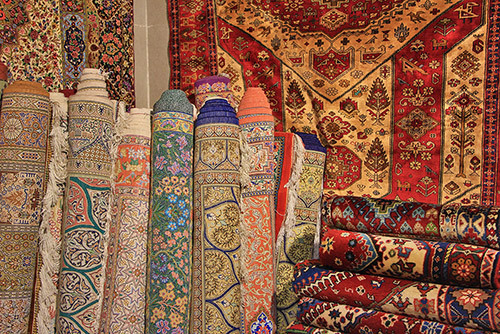 The same way bazaars are not a simple shopping center, Iranian carpet is everything but just a piece of furniture. 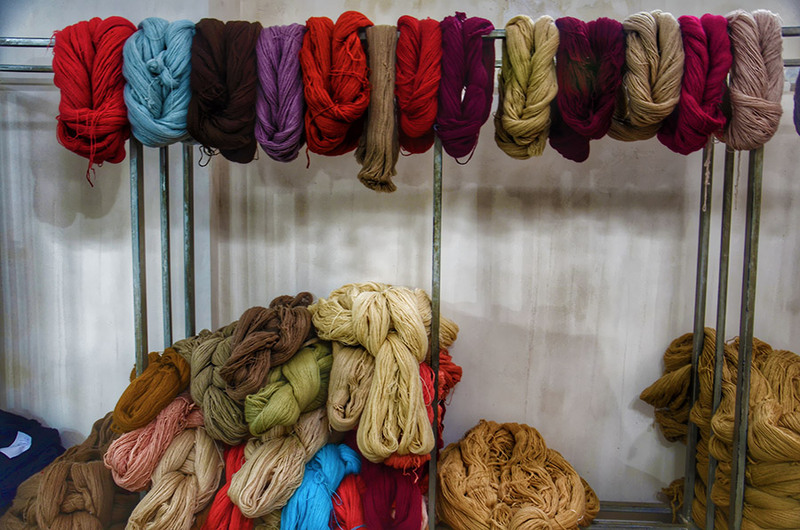 A whole section of the bazaar is dedicated to these highly respected craftspeople, not only for weaving workshops but also for traditional dyeing and repairing workshops. 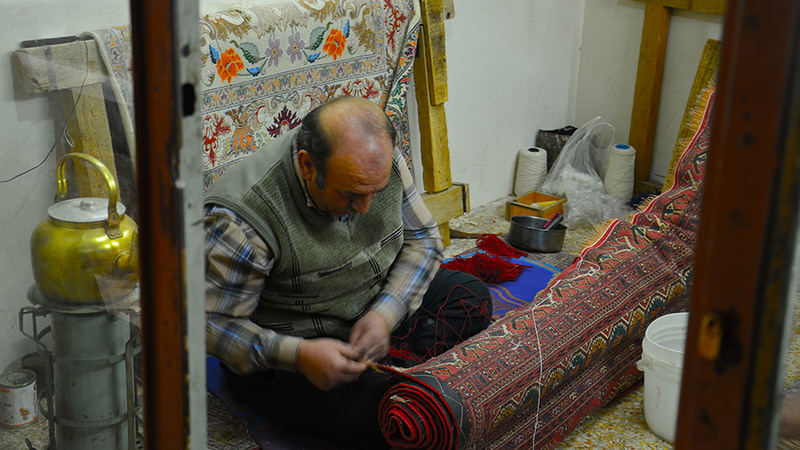 Handmade carpets are a piece of art requiring high skills and years of work, which are going to remain with a family from one generation to another. That's why you can find people carefully repairing carpets, in their intimate workshop full of colorful wool some in secret parts of bazaar usually hard to get. Leave this peaceful silence to follow the sound of hammers hitting metal. You are about to enter the iconic and picturesque cooper alley. From brown to golden and silver, copper dishes pile up in front of every store. Inside, craftsmen restlessly shape their art piece with hand, before carving delicate decorations upon it. 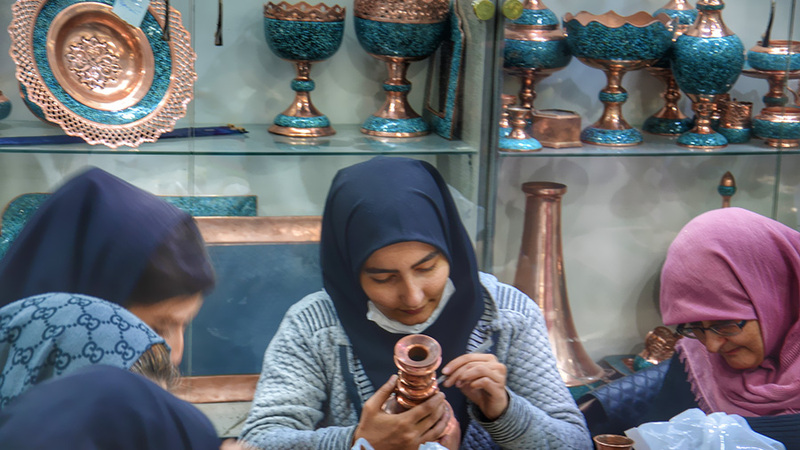 No doubt they are the best persons to share with you the old beliefs about the benefits of using copper in Persian cuisine. For sure, their explanations would work on your appetite! Don't worry, hidden in the maze of the bazaar you are rewarded with traditional restaurants where you can appreciate one of the most beloved local arts; Persian cookery! The walking tour starts at 9:00 a.m. at Naqsh-e Jahan square, where you will meet your guide and the rest of the group. Then, you will enter in old Bazar from a specific route to meet with original shop and workshops which tourists rarely are aware of them. During your visit to every art shop there is opportunity to get introduced to the history and culture of Isfahan Bazaar, its architecture and famous buildings like imam zadeh Hassan. There are workshops which are warmly host you and share their sense and knowledge about every craft or art with you happily. At the end of the tour, you'll experience an authentic lunch in Bazaar in a restaurant that people who work in bazaar have been having their food in there for centuries. The tour ends at 2:00 p.m.